The Recording Industry Association of America has offered to reduce Jammie Thomas-Rasset's $222,000 fine if she takes part in an anti-piracy campaign, but she says she won't do it. Jammie Thomas-Rasset is likely the most famous music downloader in America. In a case that's dragged on since 2007, she has fought and lost against the RIAA, and after the Supreme Court declined to hear the case found herself stuck with a fine of $222,000 for sharing 24 songs on Kazaa. It's so wildly out of line that even the RIAA, an organization not known for shame, seems embarrassed by it and has been trying to get her to accept a settlement rather than pursue the full judgment against her. To that end, it now says that it's willing to accept a reduced financial penalty in exchange for her participation in an anti-piracy campaign. "We continue to try to resolve this case in a reasonable way. In the past, for example, we have reached out to Ms. Thomas to settle the case in exchange for a contribution to a local music charity," RIAA spokesman Jonathan Lamy said. "We have communicated to Ms. Thomas that we would consider a variety of non-monetary settlement options, which is up to her to offer. We think this is a gesture of a good will and we're doing what we can to resolve this case in a manner that works for everyone." 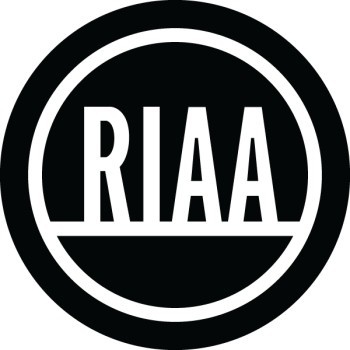 Thomas-Rasset's lawyer, Michael Wilson, said the RIAA has offered her the opportunity to pay a reduced fine in exchange for making a public statement on the matter, although it hadn't been specific about what it had in mind. "It was kind of a general idea, nothing concrete," Wilson said. "I would assume it would be something along those lines: anti-piracy and culpability." Regardless of the terms of the deal, Thomas-Rasset isn't interested in playing nice. "I'm not doing it," she said; her lawyer is instead looking into the possibility of filing for bankruptcy protection in order to avoid paying the fine.